Most of the symptoms of schizophrenia are similar to the symptoms of people who are being targeted by organized stalking and electronic harassments. The International Schizophrenia Foundation outlined the basic info about this desease (see below). Most physical symptoms are significantly similar except for one, “depression unrelated to life circumstances.” Targeted individual who realized they are a victim of harassments are misdianosed with depression that are cause by related life circumstances. Life circumstances as they are a victim of organized stalking and electronic harassments, 7 days a week, 24 hours a day, 365 days a year. The harassments breaks the well-being of a targeted individuals losing their health. Most of the targeted individual are being misdiagnosed for paranoia, delussions and hearing voices which are causes of daily harassments thats similar to schizophrenia except for one important factor. Targeted individuals experience all these from external sources. The voices are mostly coming from voice to skull weapon and other advanced electronic harassment devices. And all other physical symptoms like headache, pains and fatigue are mostly from electromagnetic radiations. For targeted individuals who are not lucky enough to realized that they’re a victim of organized stalking and electronic harassments, being drugged, institutionalized and marginalized are the most common outcome. Some are also being judged as having a split personality. Some experience substance abuse and or became homeless. ISF mentioned that Some professionals blame fathers, mothers, society or environment as the cause of being dianosed as schizophrenic but emphasized the “scientific evidence” that indicates errors in body chemistry as the real cause. If error in body chemistry cause Schizophrenia, targeted individuals health condition is not internally but the results of long period of harassments. And can be blatantly blame to their perpetrators or harassers. It is from an external source like slowly harming or killing someone. Harassment in any forms are a crime. Harming someone with a weapons is a crime. Not giving someone a chance to defend themselve is a crime. Manipulating and Robbing someone thoughts are a violations of basic human rights in any democratic and civilized society. The International Schizophrenia Foundations suggested some therapeutic solutions which my impression are holistic in approach but with medications which unfortunately has been done to some targeted individuals. And this misdiagnosis and mistreatment needs to be research and change. Basic Info about Schizophrenia – Schizophrenia is not a split personality. It refers to a group of biochemical diseases which can affect a person physically, mentally and emotionally. Schizophrenia can change the way a person hears, sees, tastes, thinks and feels. Some studies have shown that the predisposition to schizophrenia is inherited. It affects one to three percent of the population and strikes mainly young people in all walks of life. What Causes Schizophrenia? – Some professionals blame fathers, mothers, society or environment. However, scientific evidence indicates that schizophrenia is caused by errors in body chemistry. What are the Danger Signals? – Schizophrenia can have symptoms which are similar to other illnesses and disorders. It is therefore necessary to see a competent physician if schizophrenia is suspected. The following are some of the most common complaints that persons with schizophrenia have: Extreme fatigue and feeling of weakness; Difficulty in concentrating and getting organized; Loss of interest, withdrawal; Depression unrelated to life circumstances; Vague fears and anxieties; Changes in sight, hearing, touch, taste or smell; Change in character or behaviour, Headaches, Insomnia. How is it Diagnosed? – There is a great difference of opinion as to what constitutes schizophrenia and considerable variety in its diagnosis. Persons with schizophrenia or their relatives are often told the patient is emotionally disturbed, has had a nervous breakdown, has an immature personality, or is retarded. Unfortunately, no matter what terms are used, the majority do not get well on traditional treatments. The principal method used in diagnosing is clinical observation by the doctor. A very useful psychological test, the Hoffer-Osmond Diagnostic Test, which can be administered easily and quickly, has been developed to help in diagnosis. How is Schizophrenia Treated? – If left untreated, there is a natural recovery rate of about 35 percent. The usual forms of treatment are tranquilizers, psychotherapy or electroconvulsive therapy (ECT). There are many schools of thought and many opinions regarding the treatment of schizophrenia. It has been shown, however, that psychotherapy alone is not an effective treatment. ECT and tranquilizers may be useful as part of a good treatment program but cannot produce lasting benefits alone. Orthomolecular treatment is reported to be effective in 80 percent or more of the cases and is the best treatment developed so far. This treatment usually includes a special diet, vitamins and minerals in accordance with the individual needs of the patient, and other therapeutic aids such as tranquilizers, supportive psychotherapy, and other treatments which the doctor thinks will be useful. Many persons with schizophrenia have low blood sugar (hypoglycemia) and allergies which are treated. How Does Schizophrenia Affect Society? – Schizophrenia is a frightening disease which can bring about a great deal of suffering to the patients and the family and severe problems to society. Schizophrenia is an important factor in social aid and welfare costs, health care costs, employment inefficiency, impaired learning ability, alcoholism, broken homes and suicide. The average person with schizophrenia will cost one to two million dollars to society, directly and indirectly, in his/her lifetime. What Can be Done to Control Schizophrenia? – Schizophrenia will only be conquered with effective diagnosis and treatment. The aim of the International Schizophrenia Foundation is to help those with schizophrenia by: Informing the public about schizophrenia, its danger signals and what can be done about it; Helping the person with schizophrenia and the family to learn how to deal with this illness; Ensuring that effective diagnostic and treatment methods are instituted, and that people with schizophrenia are given a better; chance of getting well than they have at present; Promoting research; Improving mental hospitals and treatment centres. What is Orthomolecular treatment? – Orthomolecular treatment is defined as providing the brain and the body with the best possible biochemical environment, especially with those substances normally found in the body such as vitamins, minerals, amino acids and other essential molecules. What are the Principal Components of the Treatment? – Vitamins and minerals are administered according to the individual needs of patients. A good diet is considered to be an important part of the therapy. Treatment for such disorders as low blood sugar, allergies, and thyroid problems are included when necessary. Sometimes tranquilizers are used for brief periods, and other treatments and supportive therapy are included. 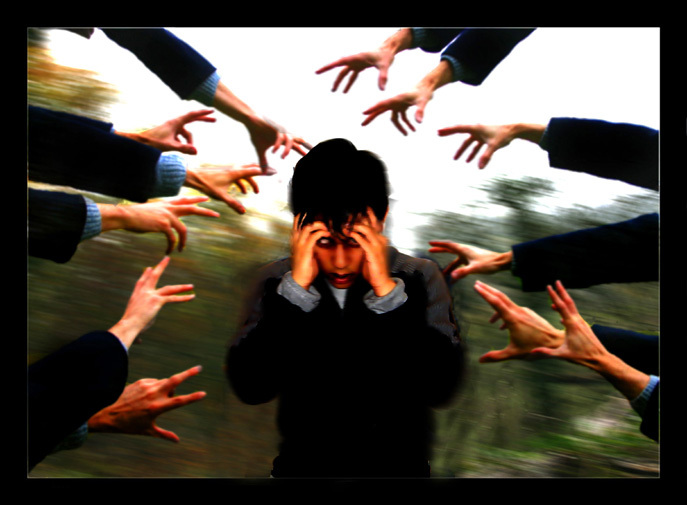 Tinnitus – Paranoia – Auditory Hallucinations – Schizophrenia?